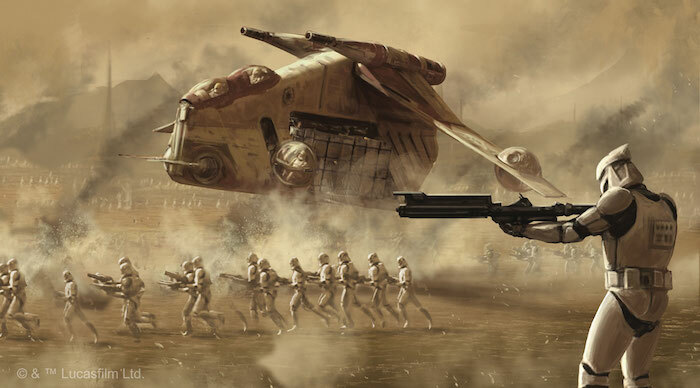 When the Separatists unleashed their legions of battle droids on Geonosis, they did not expect for the Jedi to have an entire army mobilized, fully trained and equipped for battle. In Rise of the Separatists, a whole new arsenal is available to deploy to your tabletop campaigns. As the second Star Wars Roleplaying Game era sourcebook, Rise of the Separatists showcases iconic Clone Wars era vehicles and starships, including AAT-1 hover tanks, LAAT/i transports, AT-TE walkers, Venator-class star destroyers, and more. Players can find new attachments and gear to upgrade their firepower and supplement their protection when facing superior forces, while GMs can steer ever-more-deadly droid vehicles and battleships into combat against the heroes. And for the cunning—or the opportunistic—the influx of arms into the galaxy and the scrap left in the wake of battle present countless possibilities to profit. Just as versatile as the GAR’s ground forces is the Low Altitude Assault Transport/infantry (LAAT/i) airspeeder, which simultaneously serves as a troop transport and gunboat, laying down impressive air-to-ground and air-to-air support fire. First deployed during the Battle of Geonosis to resounding effect, this ship has become mainstay on the battlefield and has proven its resilience, even in the face of superior firepower. 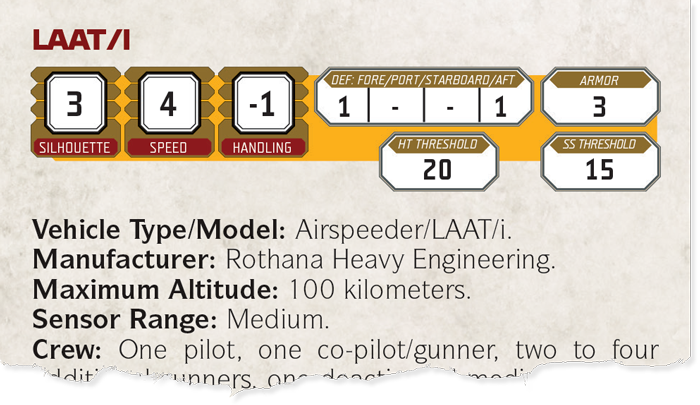 The LAAT/i is a balanced ship with good speed, fair handling, and superb survivability, all of which are necessary for the pilot and copilot to safely deliver their payload—whether that’s three squads of clone soldiers, four troopers on speeder bikes, or laser cannon fire. Squads rely on the LAAT/i to get where they’re needed, and to help them secure important objectives or concentrate firepower against entrenched enemy positions. When serving as fire support, two to four gunners have an array of weapons systems at their disposal, such as laser cannons and turrets, guided missiles and air-to-air rockets, and in special cases, even the “Droidbuster” EMP missile launcher, capable of devastating the main form of Separatist infantry. For the knights of the Jedi Order, their pursuit of justice and peace frequently takes them to far-flung reaches of the galaxy, where they must undertake delicate negotiations on their own. Stealth and speed are paramount to avoid detection by the CIS navy, but in the worst-case scenario, pilots must be able to defend themselves until help arrives or they can seize the chance to flee. The Delta-7 Aethersprite-class interceptor fits the bill perfectly: a swift and responsive starfighter that packs an impressive punch for its small size. A built-in astromech droid assists with targeting and minor system repairs, but primarily serves to interface with hyperspace docking rings so that the ship isn’t burdened with the weight of its own hyperdrive. These ships are excellent support craft in large fleet battles, but they can also hold their own in a dogfight. The ships you’ll find in Rise of the Separatists go beyond simple speeders and smaller starfighters. The Separatists and the Republic have brought entire planets’ worth of industry to bear in order to emerge victorious. From the Venator-class star destroyer—impressive carriers capable of laying waste to enemy emplacements and ships in atmospheric encounters and space battles alike—to the Munificent-class heavy frigates of the CIS navy—almost entirely automated and defended by squadrons of screaming-fast vulture droids—both sides are well matched, ensuring that victory will come down to those individuals whose crafty gambits and brave sacrifices can turn the tide. What will you add to your squadron’s arsenal, and how will you take the fight to the skies and stars? Rise of the Separatists offers an array of options to outfit soldiers and Jedi no matter the mission, and for GMs to equip new enemies in the galaxy-wide struggle. Join us next week for a sneak peek at the resources and advice the book provides Game Masters to make their campaigns evoke the grandeur of the Clone Wars! 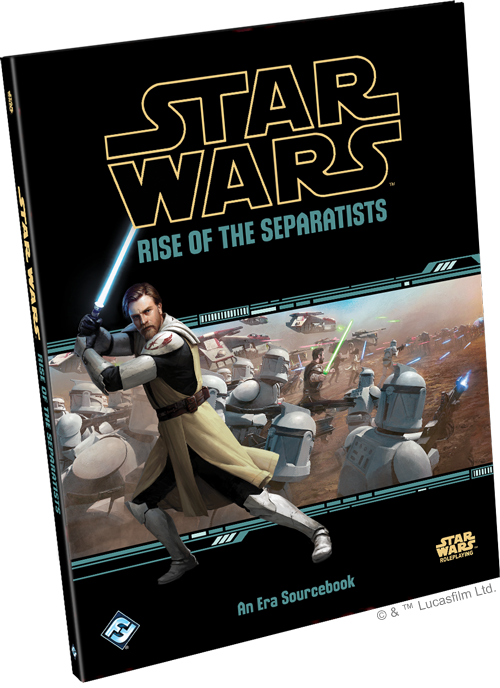 There’s still time to pre-order Rise of the Separatists (SWR11) from your local game store or from the Fantasy Flight Games web store, so order your copy today! 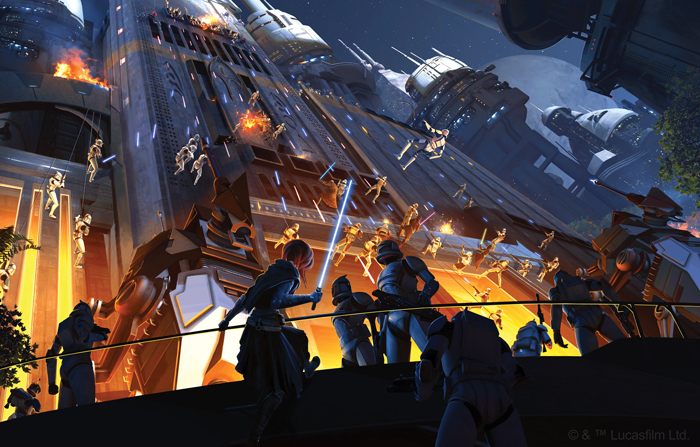 Enter a galaxy of adventure in Star Wars Roleplaying! Split across three lines—Edge of the Empire, Age of Rebellion, and Force and Destiny, you can explore every part of the Star Wars galaxy with these roleplaying games.